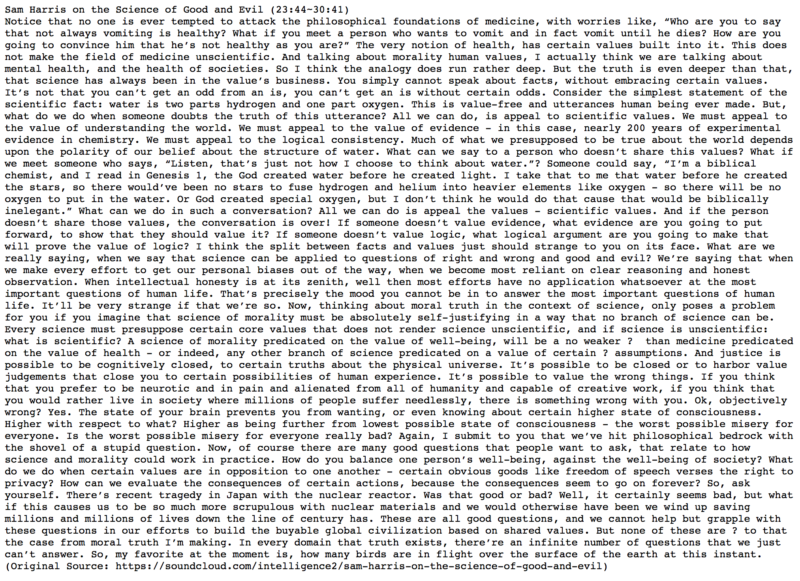 The Soundcloud Podcast by Sam Harris into txt file. Some parts are missing due to my lack of English hearing skills or just general hearing skills. It made me realize why it's hard to achieve good speech detection technology.